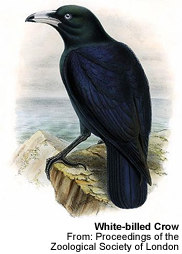 Crows (genus Corvus) can be found on every continent except South America and even on some of the oceanic islands, such as Hawaii. 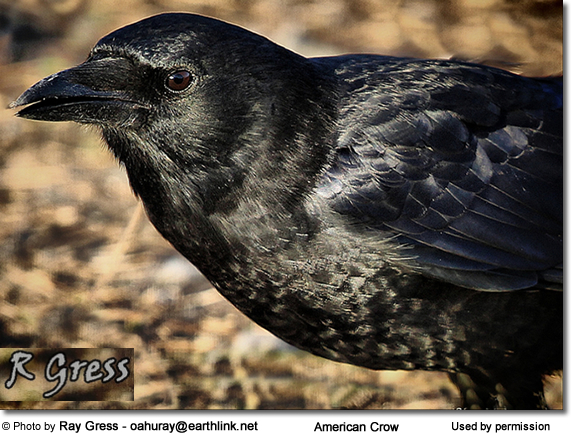 In North America, the term “Crow” refers to the American Crow. They do not migrate. There are 102 living species of crow. 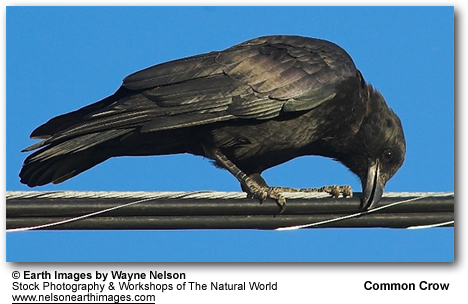 Crows measure from 8 to 28 inches and are the largest of the passerines (perching birds). Corvus species are all black or black with some white or grey plumage. Some species have head crests. Their wings are long and pointed, and their tails are much shorter than their wings. They are stout with strong bills and legs. The sexes differ little in appearance. They form tight, social colonies, calling to each during emergencies and at flock roosting times at night. 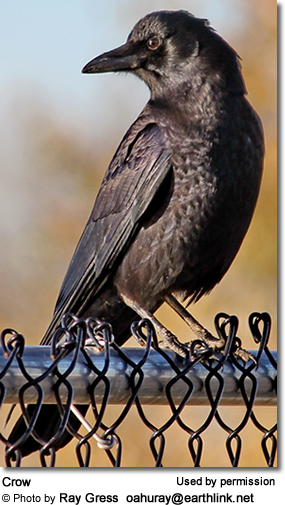 Bold, inquisitive, gregarious and highly adaptable, crows are easily seen and heard, with voices that are loud and harsh. 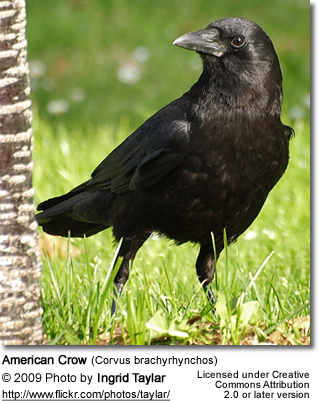 Crows can mimic sounds made by other birds and animals. They can be taught to mimic the human voice, just like parrots. Originally from Asia, a grouping of crows has an unusual title: a “murder.” This term comes from the crow’s propensity to kill one of its own if it is near death. They are an aggressive bird, using their hooked beaks to tear meat. They are omnivorous scavengers, eating almost anything they can swallow. They have been known to eat insects, mollusks, seeds, fruit, nuts, animal carrion, mice, eggs, fish, as well as domestic substances such as rubber and plastic insulation material. 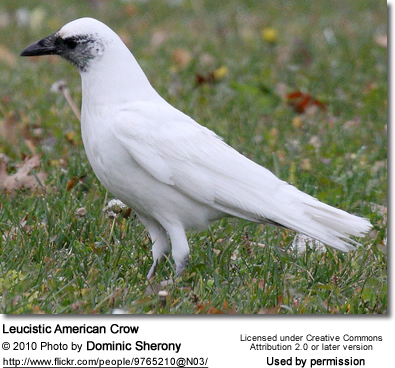 The North American Fish Crow (common in the eastern United States) also feeds on crustaceans - including shrimp, fiddler crabs and crayfish. They will also take turtle eggs. Both male and female build their open nests in trees or on cliffs. The nests are bulky, open structures, while the Jackdaw nests are constructed in holes in rocks, trees or building. After laying 3 to 10 eggs, both parents care for the young; however, only the female incubates and broods the eggs. Some pair-bond for life.